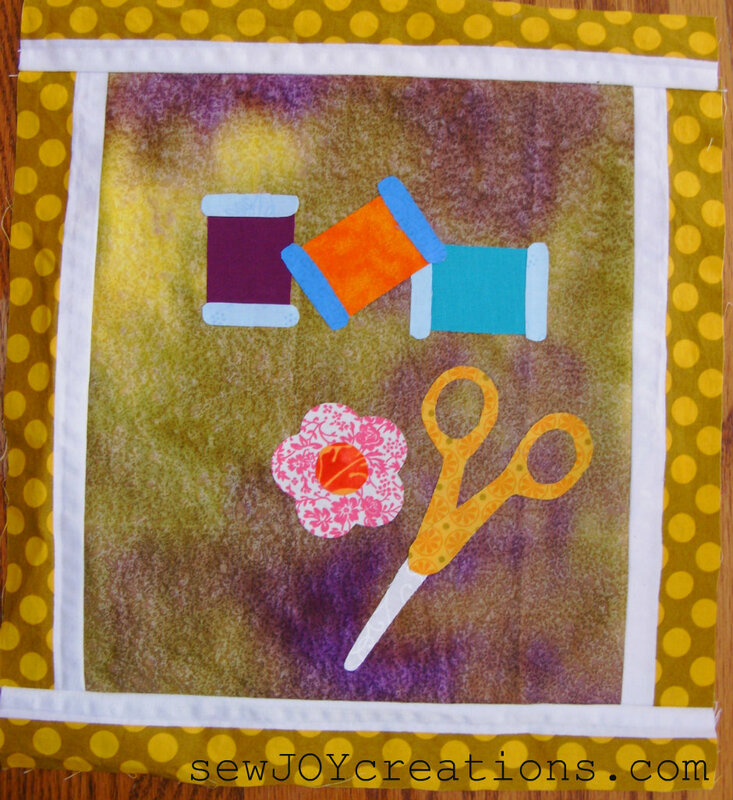 Sew Joy: Playdate in the Scrap-Applique Playground! 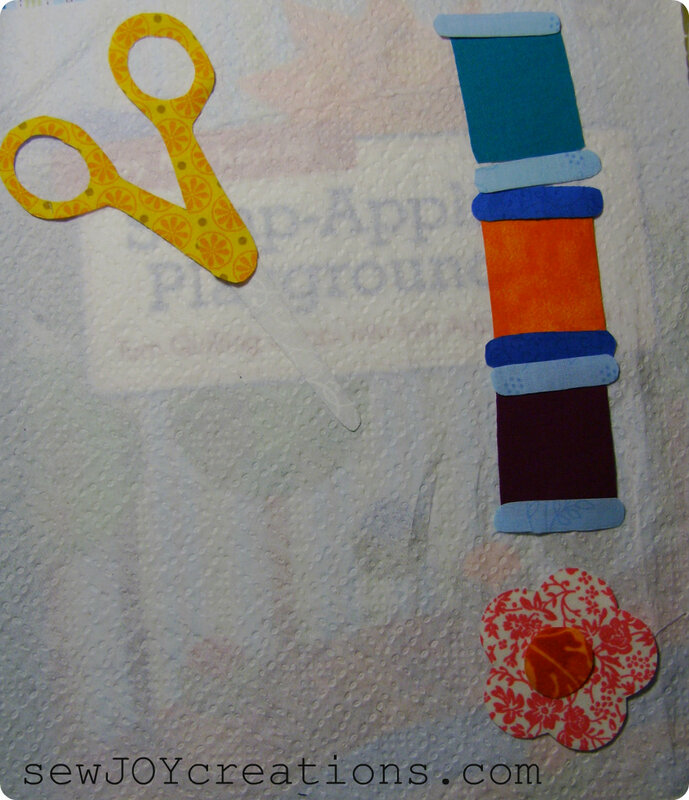 Playdate in the Scrap-Applique Playground! 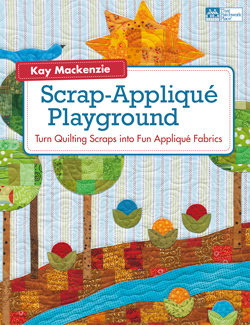 Welcome to Sew JOY Creations and to Kay Mackenzie's book around tour! I've had a playdate with Kay before; you can read about it here. But THIS one is where all the FUN is at! When she asked me to participate in the book around - I was already sorting my scraps! 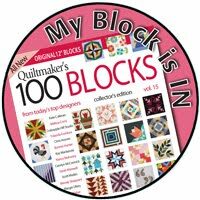 This book is great fun even if you're not an applique fanatic - yet! 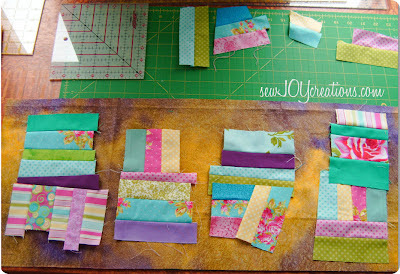 Kay provides several techniques on how to create patchwork with your scraps and then projects to make with them. 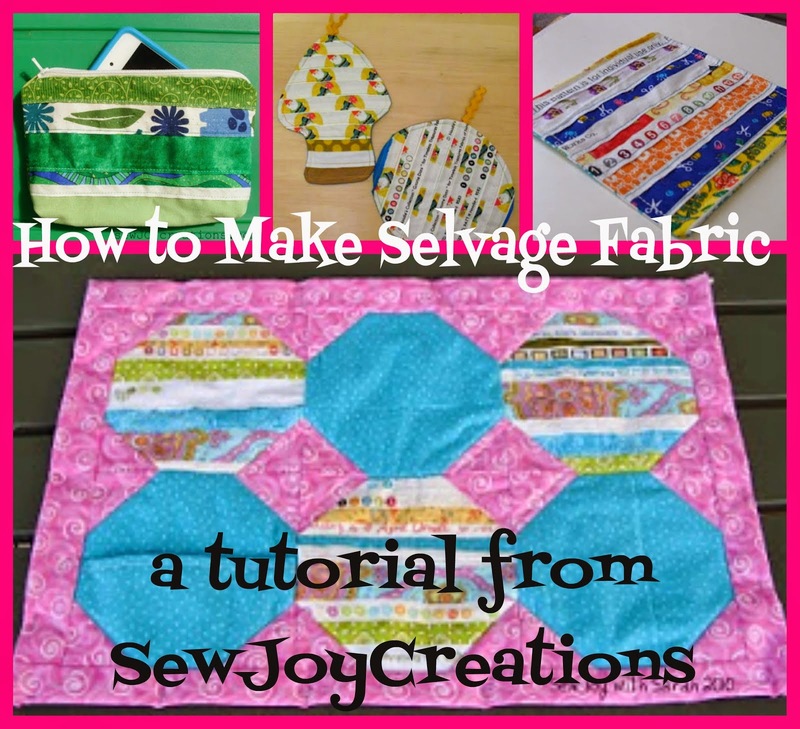 As always, she provides great tips and instructions on how to applique with ease. - I already KNEW what I wanted to make! I had all my letters traced out and ready to go, but ran out of time. Maybe it sounds better if I say I had another idea?! This is kind of a 2-in-1 deal. I quilted the front "Play" panel and decided I should do the same to the back. Let's just say it's a cozy fit! Do you see the selvages? I used up a collection of selvages that I had stashed away with the fat quarter I used for the back of the cover. I didn't quilt these side panels and I'm glad too - you can see in this photo I need someplace with give to ease everything into place. I had CUT my background piece and remembered AFTER the fact that I was going to use the spools and such as an explanation point. That's how I ended up with 2 projects! I LOVE my special little sign! 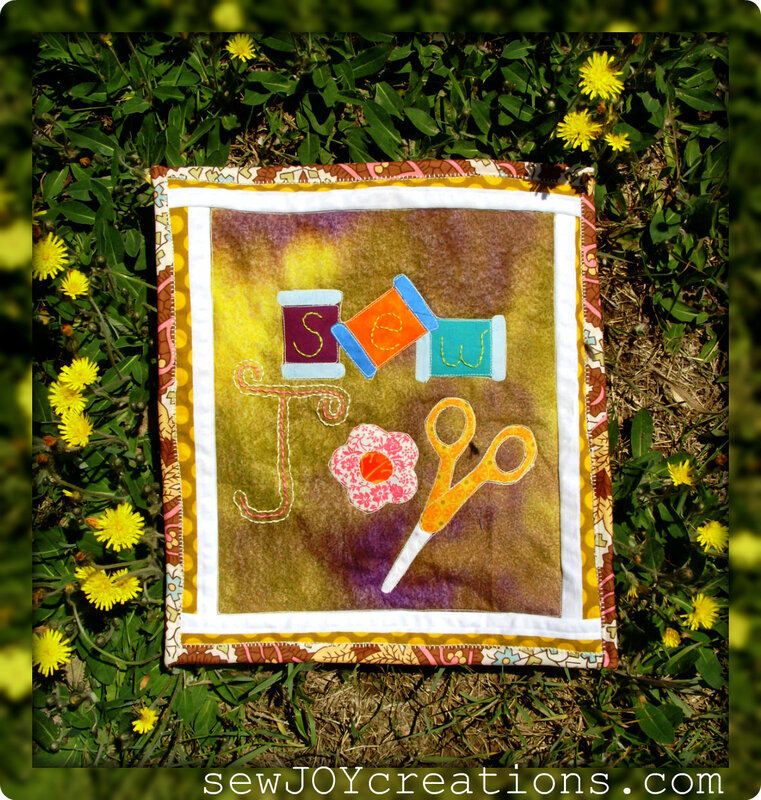 Luck would have it that 3 spools and some scissors could make Sew JOY so special! As you can see, I found this book and Kay's guidance very inspirational. Kay is giving away one copy of Scrap-Applique Playground at each book-around stop. OPEN TO CANADIAN AND U.S. comments ONLY due to shipping costs. Comments are open until tomorrow night, Sunday, June 10th at 7 p.m. Please make sure I can contact you! leave your email address in your comment. IF you are reading this as an email, please click over to the blog to leave your comment. Thanks! PLUS there are still more stops on the book around tour with chances for you to win a copy! 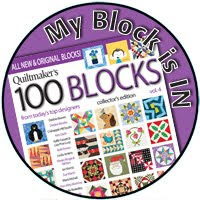 Click over to All About Applique to find out who else has a playdate with Kay! I hope you enjoyed your visit and are inspired to play with some scraps too! I love, love, love the Studio sign! Wow and fantastic colors as well. 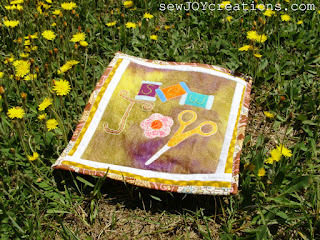 I love your Sew Joy sign and the machine cover is gorgeous too. The book looks great. Your projects are adorable! 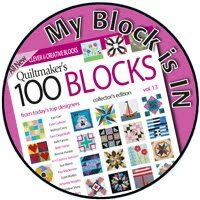 I'd love to have this book to try these ideas -- they look like such fun! The book looks great and what a great way to use up some scraps. It'd be nice to take a break from larger projects and actually have a finished project! Thanks! Great projects you created. Please Don't enter my name in the giveaway. I am part of the hop. I love what you did with those letters! This does look like a very creative book, and I look forward to reading it and learning how to use up scraps. P.s. I'm glad to find your blog - I live in Michigan, so we're neighbors! I love what you made out of this book! I think I need a studio sign! Thanks for this giveaway! Love your machine cover and the studio sign from the book. Whether I win a book or not, I see I am going to have to have a copy. I love the letters!! This book looks awesome! Thanks for the giveaway. I love the projects you made. Going to try sewing scraps to make another fabric, love the idea. Thanks for the giveaway. I love your sewing machine cover. Very inspiring. Those signs are so cute! Love the Play one. Reminds me of something I need to do every day. this is an inspiring book ... sure like what you saw in in the studio sign. your machine cover is cute. thanx for the chance to win a copy of scrap-applique playground. I love your projects! What a fun book this looks like! Your two projects are great! Love the machine cover. I'm off to sort scraps by color. Thanks for the chance and the ideas. OH my goodness your projects are awesome - you clever girl - this book was already on my 'must have' list and now even more so! Very cool & imaginative! I love love love your studio sign! Those little spools & scissors are just adorable! Thanks for sharing your playdate with us! very cute! Wouls love to see the whole book, on my list! Thanks for th chance. Makes the intricate so easy. Your sign and machine cover are lovely. Thanks for the chance to win. Love the cute sewing machine cover. Thanks for the chance to win. Your projects are amazing Sarah. 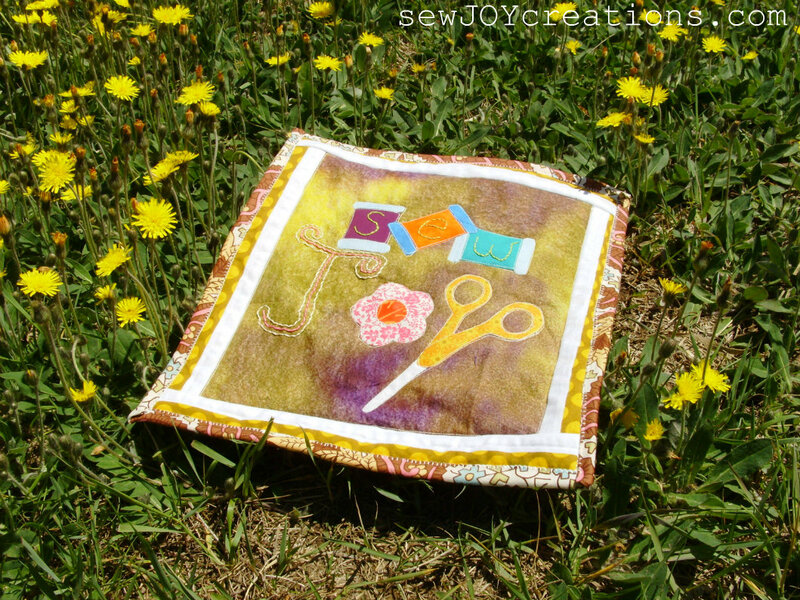 I love the "Sew Joy" and your machine cover makes me want to go make one of my own. Thanks to you and Kay for the chance to own a copy of this delightful book. You are very creative to use the scissors for the y in Joy. Really cute wall hanging. Your projects are such fun and inspiring,too! 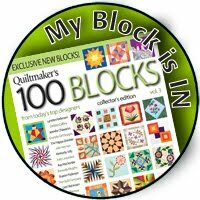 What fun projects you have made. They made me happy just to look at them. 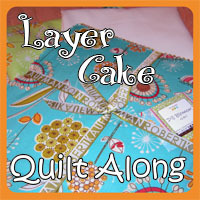 I love the pieces you have made, so fun and wonderful for the quilter, so great gift idea too. Oh wow! I love the sign and the sewing machine cover! (PS I came in from Carrie's blog). 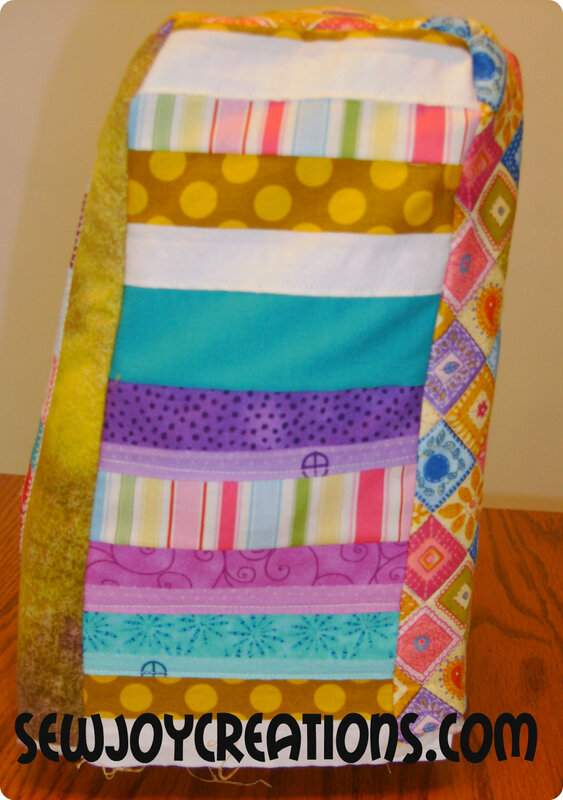 I love to appliqué and I have tons of scraps, so I think I am ready for the Playground. Thanks for sharing. I love your Studio sign. I love your projects! Especially the studio sign! This book does look very inspirational. I love your studio sign and such a cute machine cover. I have been thinking I need to make one too and yours is a great inspiration. I love your use of color and this looks like so much fun! Thanks for the inspiration! Thanks Sarah for some great inspiration! And thanks so much for a chance at the give-away! Your Sew Joy is wonderful! Serendipity is a good thing. THanks for the giveaway as need some motivation to use (my mother's) scraps. I organize hers by color in long shallow clear plastic bins, labeled, and stacked in the hall linen closet (which has no linens). Periodically I whisk her leftovers away and put them where they belong. I'm new enough to quilting that don't really have scraps. Usually at the end of a project my little bits are sewn together and after a while, a dolly quilt top for the grandnieces is ready. So, that's how we handle scraps. This looks like a fun book to have. 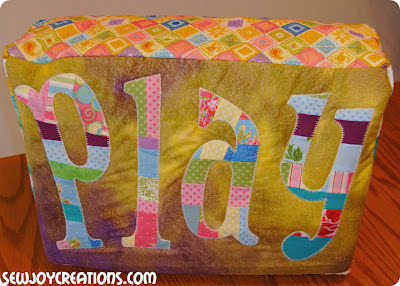 I love all the patchwork lettering! 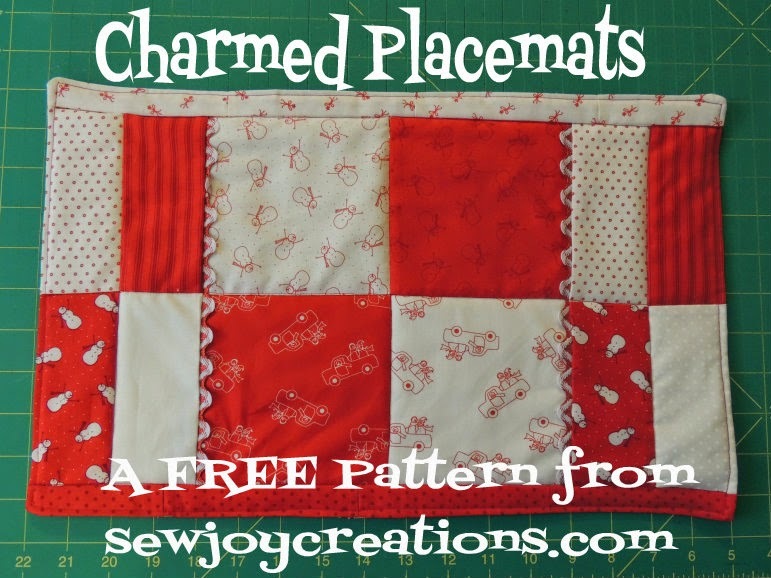 Such inspiration in your signs :-) Can't wait to put some scraps in my applique! 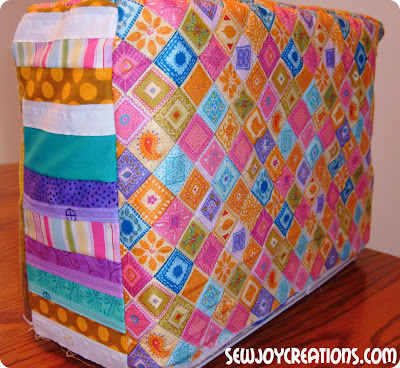 Love your creativity, the sign is so much fun on your sewing machine cover. 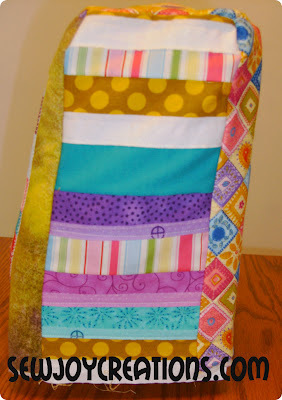 Your second project makes a great wall hanging in The sewing room. Thanks for giveaway as I have scraps. Love the studio sign! This book looks jammed-packed with ideas! Thank you for participating in the blog hop!! Oh my I'm not sure which project I like the best--The book would be such an inspiration to me. Your sign is awesome. very interesting book.. Both of your projects are great! What a super idea to do different words! 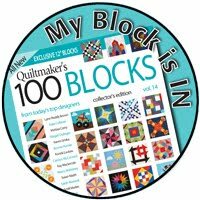 I love applique and can't wait to see more of Kay's book. How inspiring! Thank you and Martingale for an awesome giveaway and a chance to win. Great projects. I need the sewing machine cover. Sew cute. Iwould love to win. I never throw away any little scraps and love books that show great ideas on what to do with them!! Love your take on the projects!! Scrappy is so much fun. I would love to win this book. I have a lot of scraps that need to be used! I was out yesterday and I collected someone elses scraps to add to mine. I can't wait to get my hands on a copy of this book!! !Thanks for the chance to win a copy. I love your machine cover! I just got a new machine and was thinking I really should make one. I think your adaptation of the studio sign project was genius. Love both of your projects! I think your machine cover invites you to sit down and sew! And your "Sew Joy" is just fabulous! Looks like a fun book! Joy, I like both signs, but I definitely need one for my studio. Thank you for taking part in the giveaway. Would love to win this book! Thank you for this great opportunity! Just found out about the new book. How perfect. I have tons of scraps I just can't throw away. Now I can Use even the smallest pieces. Thanks for the give-away.